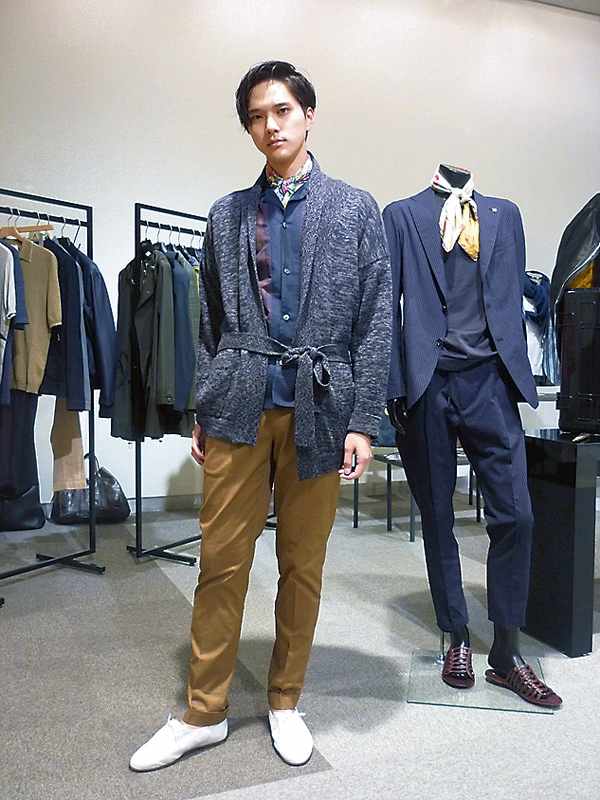 The major department store Takashimaya started a project to train young sales staff at menswear sales floors to be “ikemen (cool, handsome men) models.” They learn the fundamentals of being fashion models, with the aim of raising their sales skills such as customer service and strengthening their information provision. A total of four male staff members (from the Shinjuku and Tamagawa Takashimaya locations this spring, and from the Nihonbashi and Yokohama locations this autumn) were dispatched to the model studio, and learned fundamentals for modelling such as walking and posing. The company secured the lesson time coordination and expenses for the three-month program. The four male sales staff members were in their first or second years of employment at the company, and work in sales at the independently curated sales locations of Salon le Chic Select and CS case study. A representative stated, “Under the guidance of top models, they changed from the ‘showing’ they had previously conducted to ‘captivating’ after the lessons.” This is leading to improved customer service, increases in their followers on social media, and more. A pre-floor show is planned for next spring promoting the ikemen models, which will not only encompass sales but also be an experiential event. In addition to the four Takashimaya locations, the model training project will be spread to other locations as well. This will lead to drawing not only male customers but also female customers making purchases on behalf of others.